The female gender has always been intriguing in terms of the bodily shape they have, be it a Pear shaped or an Hour-glass figure. Women since the 16th century have been trying to achieve a zero figure or ultra slim appearance through the use of a tightly-laced garment called Corset. Though corsets have been worn by both men and women the major use was with the females. Corsets have been in use for both appearance purpose and medical. 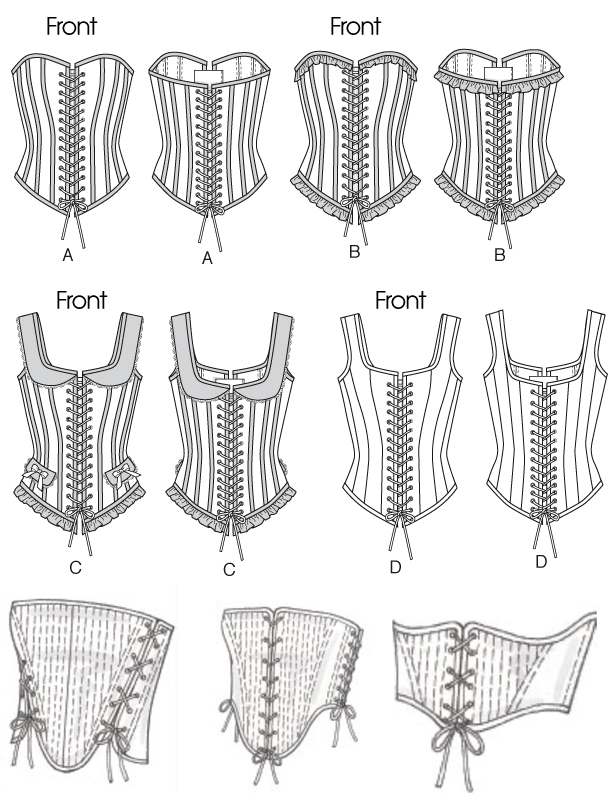 What is the origin of the Corset? What was the Raw Material used for Corsets? 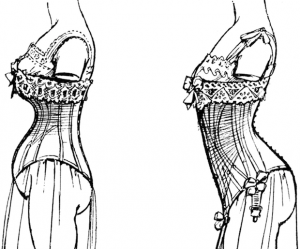 What was the impact of wearing Corsets on health? What was the Corset Punishment in Victorian times? The corsets were very different from the ones worn in the 17th century when the corsets became an independent clothing item. The credit of inventing the corset is bestowed upon Roxey Ann Caplin who was a famous corset maker in around mid-1800s in London. Like the social strata, the corsets were worn by women also differed according to their social hierarchy. The higher the women in the hierarchy the tighter the bodice and stricter her movements, ultimately leaving her to be unproductive. It is also said that women of the upper classes were treated only as a showpiece material only to present themselves in terms of beauty. However, women of lower class or working women wore lose corsets and therefore had more freedom with their movements. They were economically more viable. In the beginning, the corsets were made out of stiff material but later on, steel began to be stitched into the lining of the dress. Various materials such as steel, whalebone, wood, or cane were in vogue in the early 16th century. Linen was generally the main fabric of the corset body stiffened with paste or starch which was to be worn by upper-class females. The Lower-class women wore corsets made up of a cheap cotton cloth. Corsets for special occasions were made up of silk or satin. Though the corsets were worn to shape the waist or upright the bust line, the medical impacts of such a regular exercise proved disastrous. 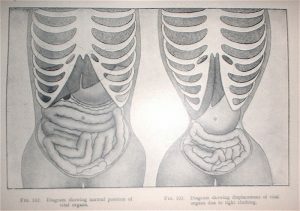 Due to the tightly laced corset, the ribs and other internal organs deformed in due course of time and ultimately crunching into each other. There were reports of women fainting because of lack of air due to the crunching of lungs. Not only this but due to immense pressure on the veins, there were cases of blockages and tumors. The corsets rendered women so helpless with the time that they couldn’t even stand or sit upright without the help of corsets. These garments had finally become the new artificial skin for them. There were many critiques of the corset later who believed that corsets were not merely a fashion dress but a tool to oppress women. Their choice of beauty made them rely on corsets all their lives. The corsets were also used as a punishment tool by mothers not only for their daughters but also sons. They were made to wear the special corset that was periodically tightened to give them a meager 16-inch waistline. They were used as a discipline tool for posture correction. Young girls were forced to wear highly tight corsets and therefore reluctant to misbehave or their laces would be tightened further. It gave discomfort but according to most gave the lady like appearance. The sullen young girls, therefore, had a low diet which prevented them from overeating and increasing weight. They were made so used to the corset that it became part and parcel of them.